If you watched Episode 6 of Food Network Star on Sunday evening, you’ll know I took an adventurous risk with my choice of packaged product: pickled beets. For many people, including my stepdad, beets are floppy, watery, tasteless discs from a can, or beeten senseless in boiling water. But to me, beets are one of those vegetables that remind us that the world is made of magic. MAGIC! I never tire of the beauty awaiting me when I slice into a magenta or sunflower yellow orb, patterned with tree rings and candy-stripes. They are sweet; IKEA carries beet syrup in its cafeteria. They are forgiving. Over-boiled? Make a dip or borscht. They are meant for snacking, crisped like chips. They shred raw into salad or roast heavenly with olive oil and herbs. They color American red velvet cake and always fancy themselves in a pickle. 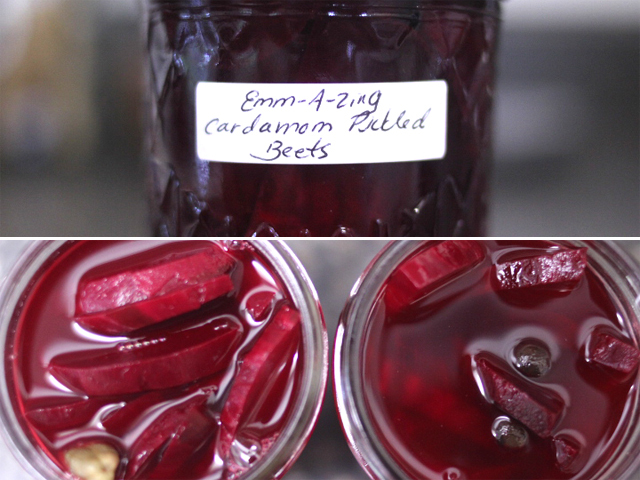 Which is precisely why I set out to make “Emm-A-Zing Cardamom Pickled Beets” on Food Network Star. It’s true that beetroots are commonplace where I live. They’re made to grow in the Finger Lakes’ soil and store well throughout the winter (which is all very well because they keep our digestive tracts moving when our diets shift to hearty stews upon stews upon stews). But even my neighbors suffer over yet another delivery of beets in their weekly farm-share. 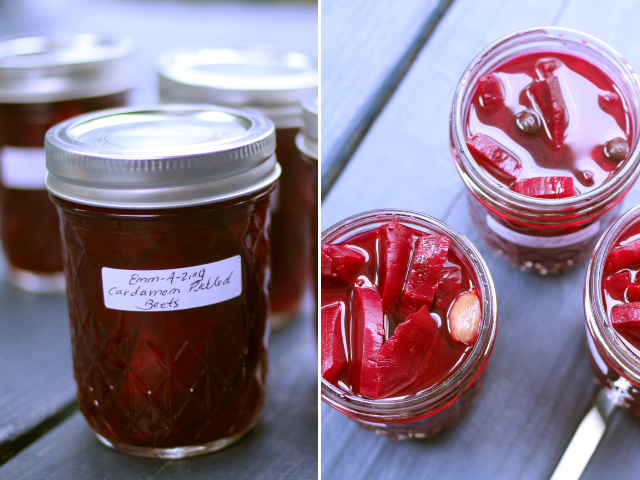 Pickles are a superb way to preserve and transform beets into a range of flavors. They’re chock full of good bacteria to power your immune system, and leftover pickle juice makes a prime base for salad dressing or braising brine. So, thank you Bob Tuschman for letting America vicariously taste that “addictive” pickled beet through your applause. 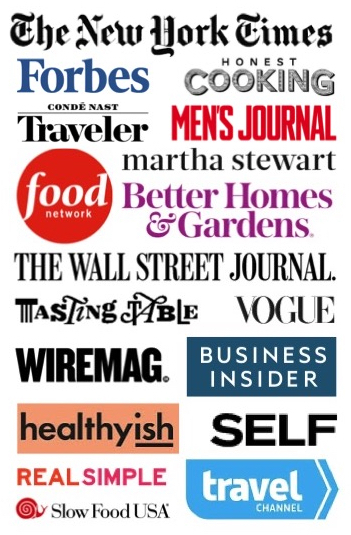 I’m fairly new to fermenting myself. Despite my mom’s pickling and jamming under my nose, pickles always sounded like an intimidating project considering it involved the process of vegetables being fortified with god forbid, bacteria! 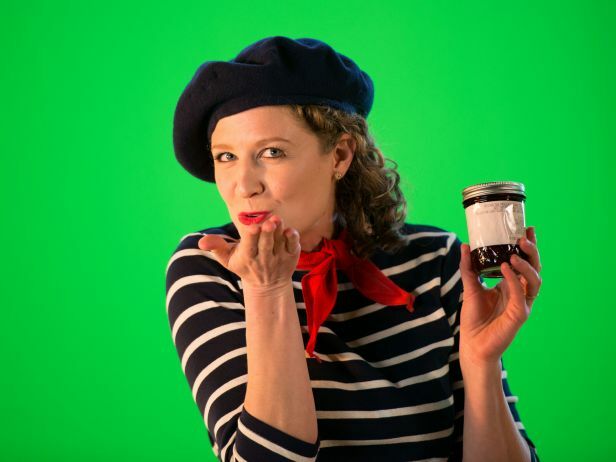 But when Sandor Katz came to Ithaca, he told me that less than 1% (read: ZERO) of food-borne illnesses have been reported as a result of fermented foods. On the contrary, fermented food is packed with immune-boosting bacteria and an ally to our digestive system. Plus, it’s easy to get into a pickling rhythm if you’re looking for a way to preserve harvest and transform flavors to add to your pantry. I like refrigerator pickles because they are quick and easy. The only downside is you will eventually have a shelf like mine that begins to resemble a science experiment. But cooking is one big science experiment, so it seems fitting to me. If you’re feeling more adventurous, here’s a good snapshot of the difference between refrigerator pickles, canned or processing pickles, and lacto-fermented pickles. Now, what makes these Emm-A-Zing is not so much the happy coincidence that my name can melt into my favorite word, but that they truly add ZING to any salad, sandwich or snacking session. And don’t forget to use your leftover pickle juice to make a Pickle Juice Dressing. Not sure where to start? Here’s a great pickling starter kit ! Craving more? 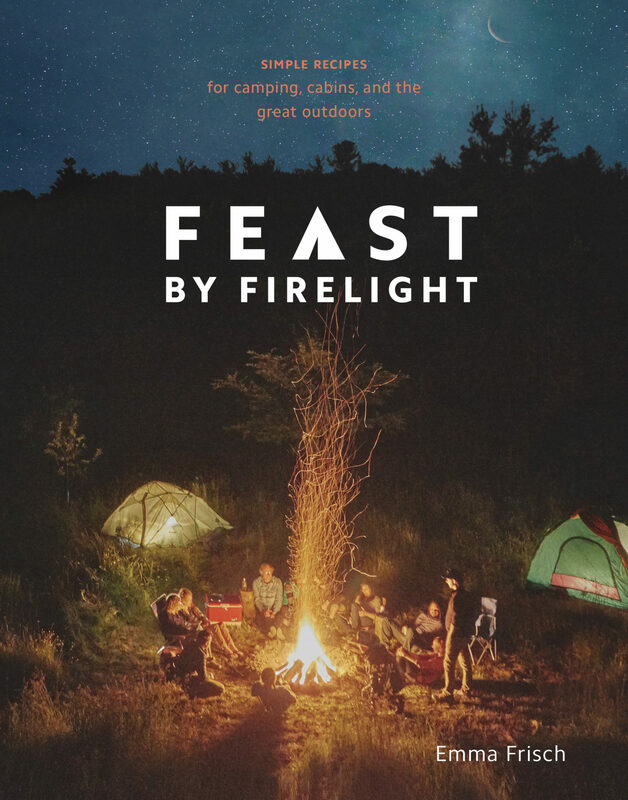 Order my cookbook today on Feast by Firelight ! 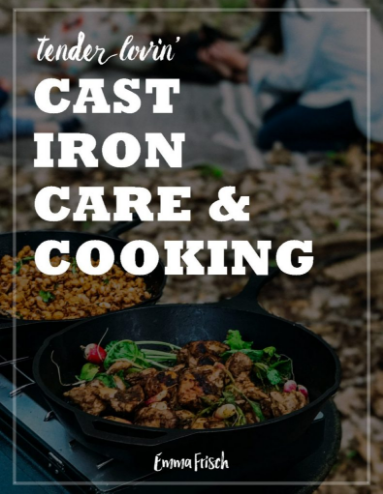 You will need eight 8-ounce mason jars or two quart-sized mason jars. Wash the jars with warm soapy water before use. 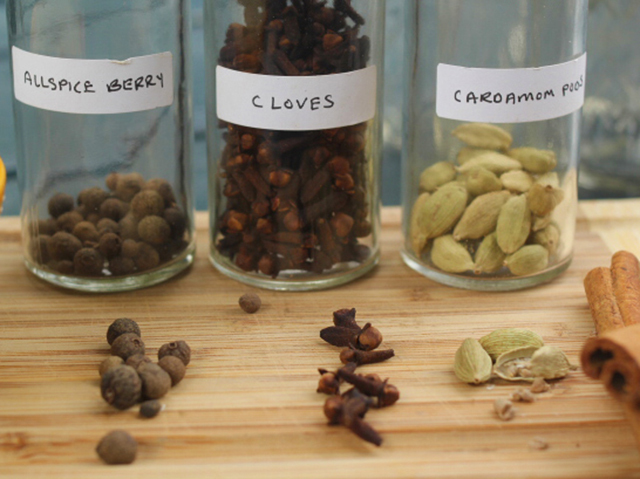 Take liberties with your spices. I like to add ginger peels on occasion, or follow my friend Allison's twist with orange peel. Another great combination is sliced ginger and jalapenos, and whole coriander and cumin seeds. The more you add and the longer they steep, the stronger the flavor. Play with each new batch. Bring a large pot of water to a boil. Scrub the dirt off the beets and add the beets to the pot. 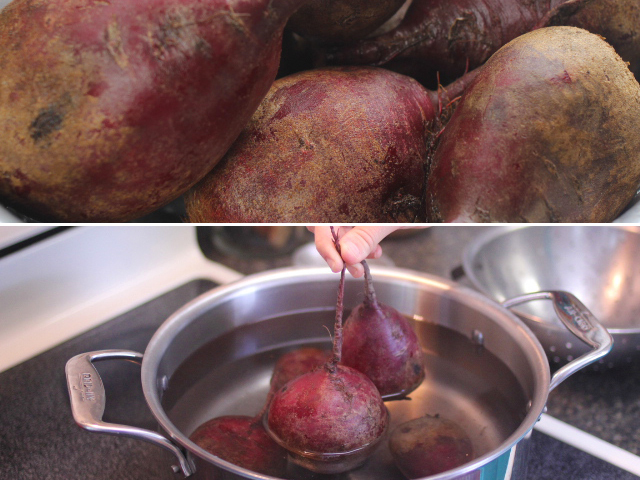 Boiling beets unpeeled preserves the color and nutrients. 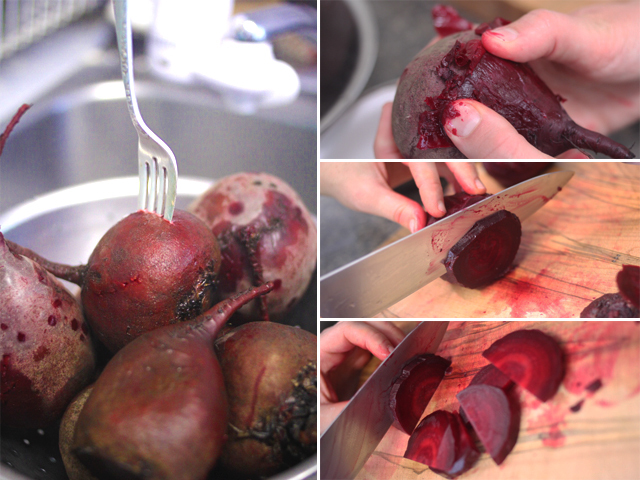 Bring the water to a boil, and cook the beets until a fork is easily inserted into the middle (about 40 minutes). Remove the beets and cool under running water. Use your thumbs to peel the skin - it will slide right off. Slice the beets into half wheels. 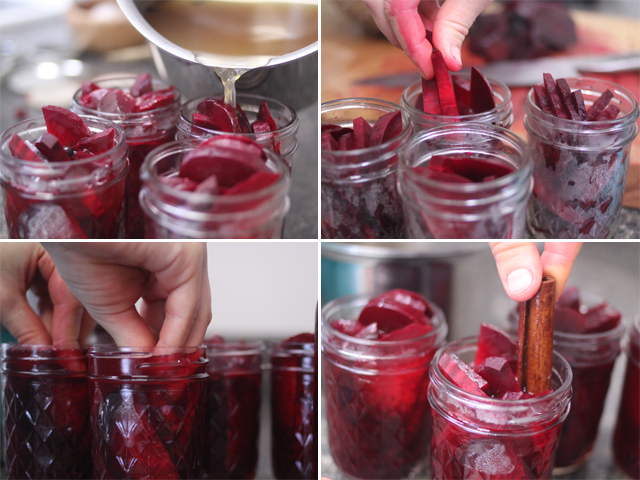 Stuff the beets into your jars. Really, pack them in and push them down. 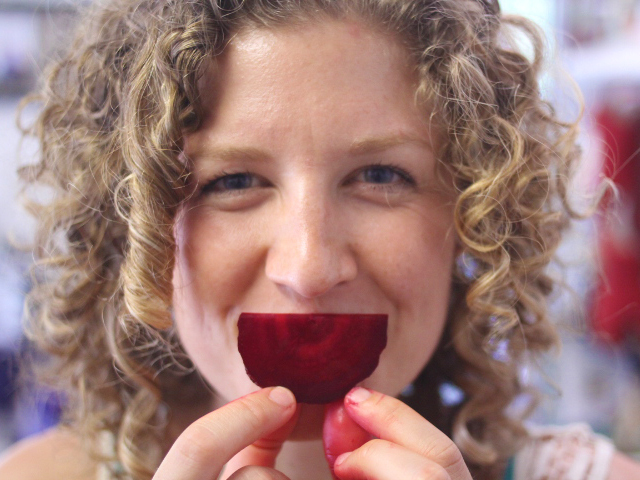 Leave an inch of headspace between the top of the beets and the rim of the jar. 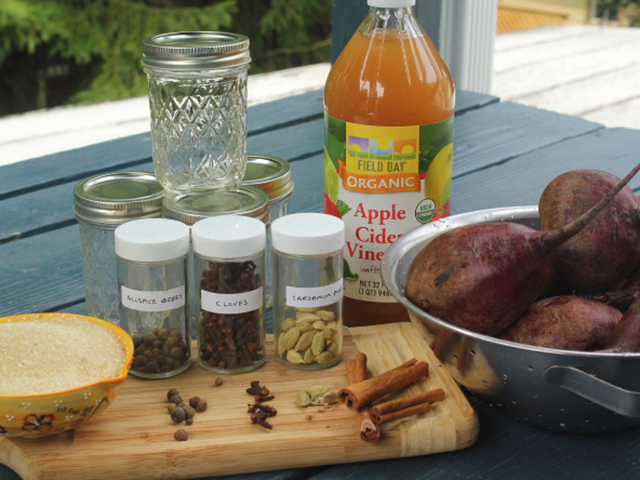 In a small pot, add the apple cider vinegar and water, and bring the liquid to a boil. 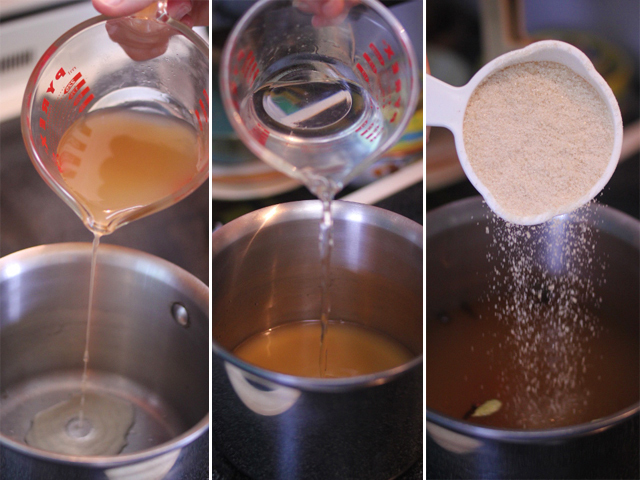 Stir in the sugar with a wooden spoon until dissolved. Add the spices and cover with a lid. Simmer on low for 5-10 minutes. Pour the hot brine over the beets, until the liquid just covers their surface. Tuck the spices into the jars as well. (You can push the pickles down with your hands to pack them in and let the brine rise above the pickles). Store the pickles in the refrigerator for at least two days before serving. The longer they ferment, the stronger their flavor. These sound good, but it’s not fermentation. It’s just a pickle. I came across this because I’m looking for beet fermentation ideas, but ferments are done with salt brine, not vinegar (vinegar kills lactobacilli). Also you don’t cook food before fermenting. Still a nice recipe, though!